Cast your mind back to 1989; Boris Becker won Wimbledon for the third time in four years, the first full episode of The Simpsons premiers on Fox TV and it was the year Adidas released the ZX5000. 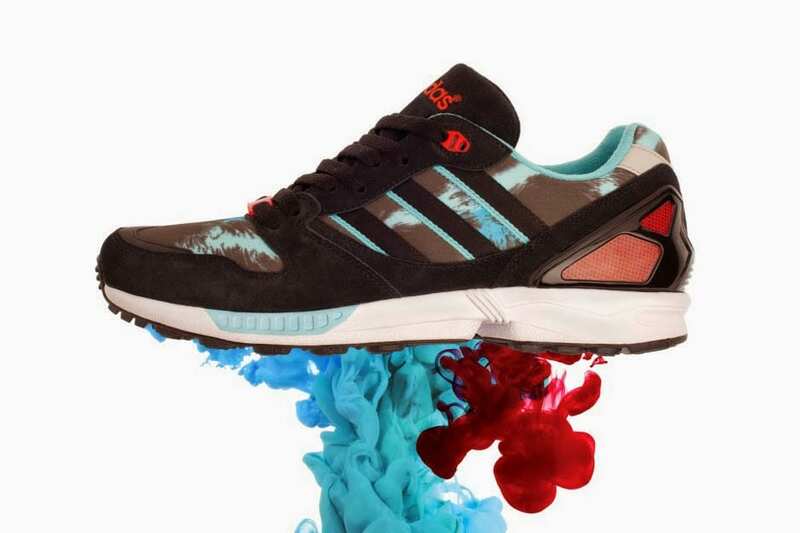 Originally designed as a simple running trainer that focused on comfort, the Adidas ZX5000 has evolved from a shoe of running luxury to focusing more on its aesthetics – behold the ‘Tie-Dye pack’ from the Adidas Originals Select Collection. Now while this shoe remains a comfortable bed for the whole foot, initially what strikes you is its variation of messy colour and its black overlays. 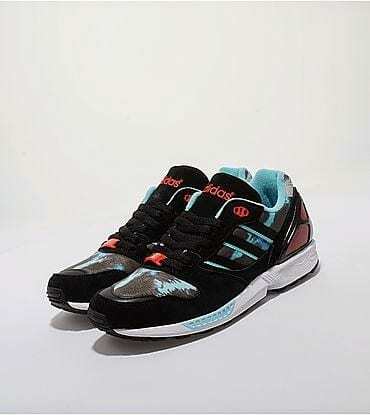 Normally a very subdued and neutral colour, the black suede overlays give the ZX 5000 more prominence, character and complete this unique pair of trainers. Only 8 months old, this pair is still a great buy and still very fresh on the scene. Check out stockists Size? and order yourself a pair for the remainder of the 2014 summer. P.S A little secret, when the flash is on on your camera the toe lights up…pretty cool! (Well I thought so anyway).